I’ve tried to stay true to following a Palaeolithic (Paleo / Wheat Belly / Ketogenic) diet, but often it’s still really hard to find suitable fast food that is free of complex carbs and grains. 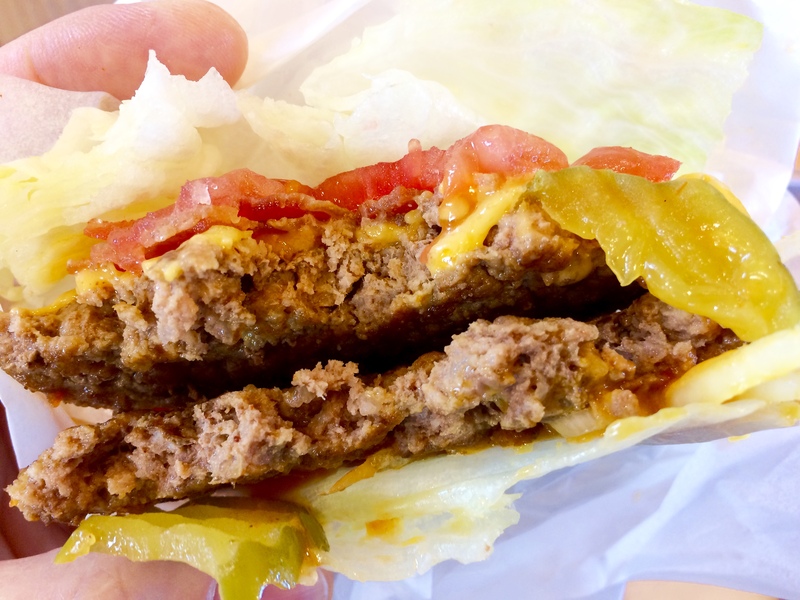 But, there are a few places where you can get Paleo fast food 24 hours a day. 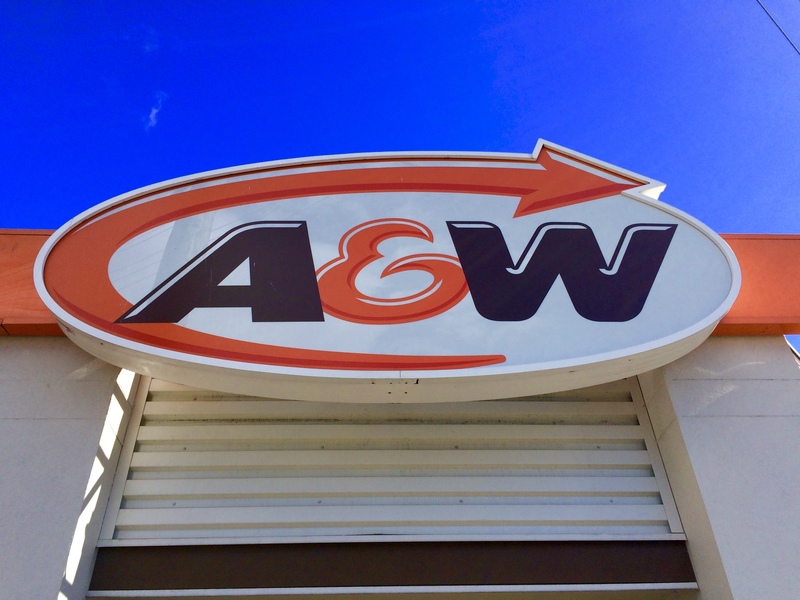 One chain that tries to cater to low-carb dieters is A&W Restaurants. 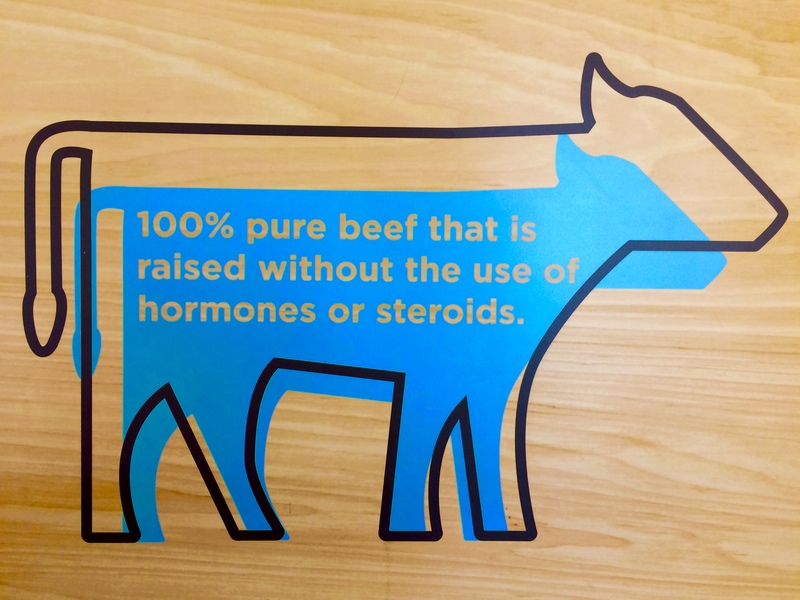 Not only do they offer meat that is free of additives, fillers, preservatives, hormones and steroids, but you can request that any burger they have to be converted to paleo-friendly by swapping the bun for a lettuce wrap at no extra charge. 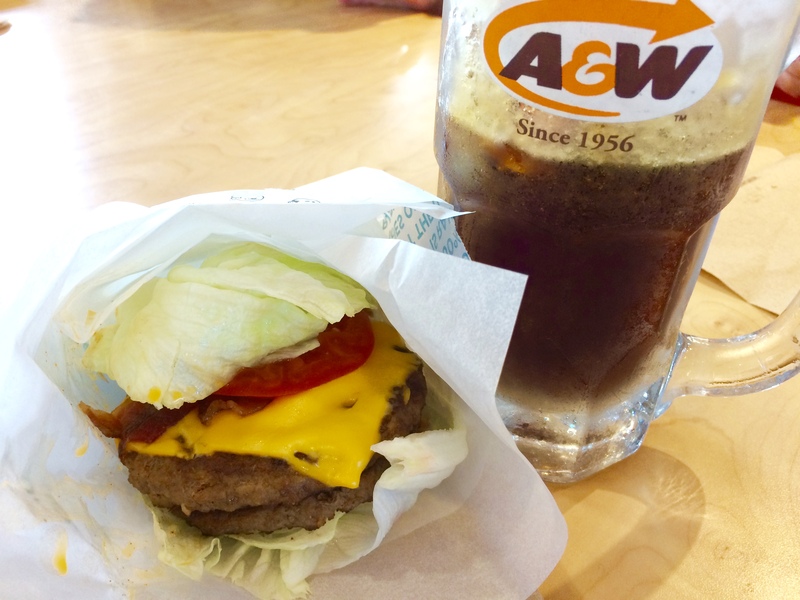 I decided to check out their current “Teen Burger” promotion, a delicious seasoned 100% pure beef patty – again, raised without the use of hormones or steroids – topped with processed cheddar, mouth-watering bacon from pork raised without the use of antibiotics, crisp lettuce, tomato, pickles and Teen® sauce. First, you definitely taste the difference between beef patties that are raised without hormones. I find that when I eat beef, chicken or pork that comes from animals raised with additives, they leave a strange aftertaste and coating on my tongue and mouth. Not only do they lack flavour, but they have a rubbery consistency and are way less juicy and palatable. In contrast, the Teen Burger tasted freshly made, juicy, and flavourful. The lettuce wrap did make it a bit messier and harder to eat, so I suggest that you eat it all in one go. Given that my paleo diet has made me more sensitive to the taste of sugar, I was pleasantly surprised that this burger wasn’t super sweet like many I’ve had. 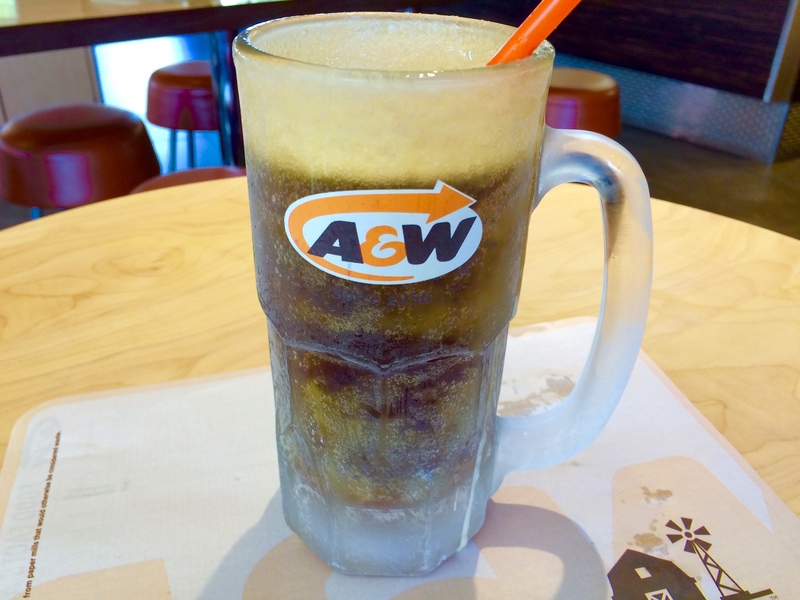 Also, A&W offers a superb way to experience (diet) Root Beer, is through drinking it from an A&W frosted glass. So, a service most typically offered in bars for beer drinkers is being offered at a fast food chain. 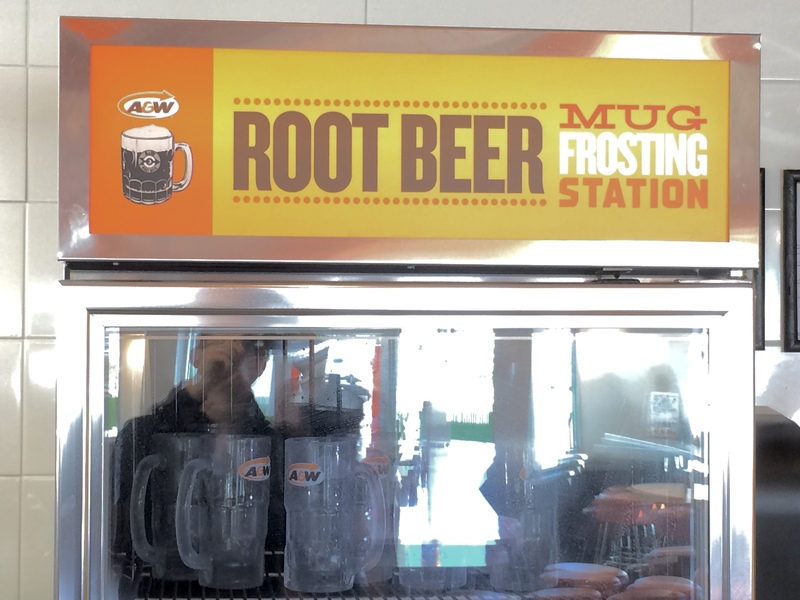 Each A&W has a special glass “Frosting” station where they keep a stock of ice-cold glasses ready for customers. 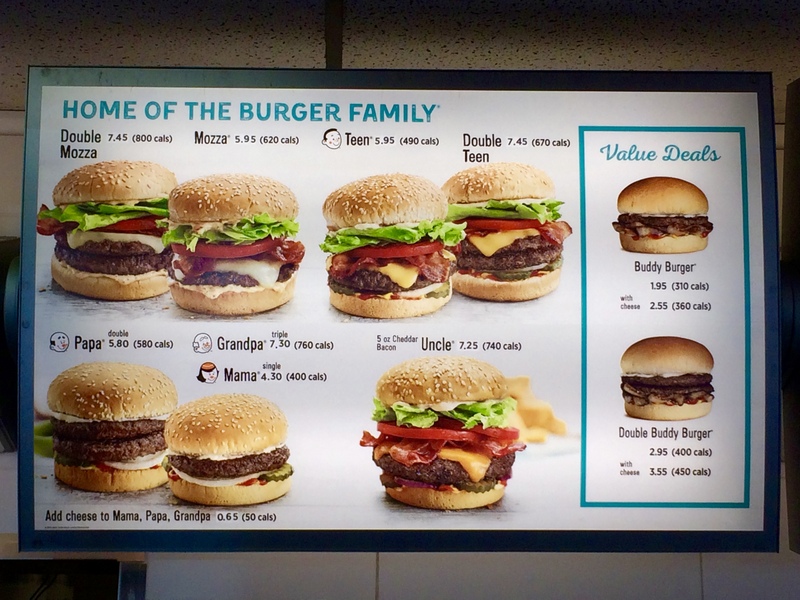 In summary, the Lettuce Wrapped “Teen Burger” costs $7.80 CAD (tax included), clocks in at a low 330 calories, with a very decent 20 grams of protein, 23 gram of fat (10 grams of saturated fat, 0.5 grams of trans fat), 65 milligrams of cholesterol, 810 milligrams of sodium, and most importantly a low 10 grams of carbohydrates, of which only 6 of those 10 grams are from sugars. All in all, this was a delicious meal that is not only Paleo (Keto) approved but way healthier and tastier than your typical fast food meal. The only thing I would recommend to lower the carb count further would be to ask for no ketchup or A&W seasoning, as both contain sugar (Mustard is ok). I give A&W 5 stars for their commitment to reducing their environmental impact, 5 stars for changing their burgers to use meat raised without the use of hormones or steroids, 5 stars for allowing any burger bun to be swapped for a lettuce wrap, 4 stars for price point (Although pretty comparable to most fast-food chains like McDonald’s and Wendy’s), and 5 stars for offering great tasting and flavorful food using fresh quality ingredients.